Your favorite DC Comics characters have been stylized as retro-looking pin-up girls and put on highly collectable pins. 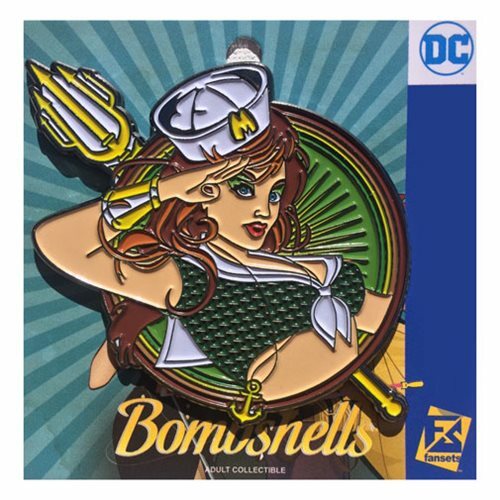 This DC Bombshells Mera Badge Pin shows Mera in a seductive sailor's outfit while she holds her hand up in a military salute. These pins are perfect for displaying on bags and clothing as well as for collecting. This pin made by Fansets measures about 2-inches in diameter.